Q. Can we get a computer listing of our records? A. We can provide you with a listing of your complete inventory in electronic or hard copy form free of charge. You can also access a live updated inventory through our secure website. 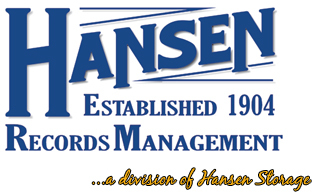 Hansen Records Management will transfer all containers from your present storage facility to our records storage facility free of charge.